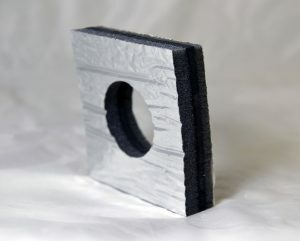 Engine compartment insulation keeps heat and noise in the engine bay from reaching a vehicle’s interior. Thermal insulation protects drivers, operators, and passengers from high temperatures that can also damage on-board electronics such as GPS tracking systems. 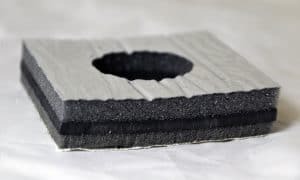 Acoustic insulation dampens damaging sound-induced vibrations and protects personnel from decibel levels that can harm human hearing. With forestry equipment, military land systems, and other types of mobile specialty vehicles, the cab where the operator sits is usually next to the engine compartment. If the cab is directly above the engine bay, installing thermal-acoustic insulation under the cabin floor is a smart choice. 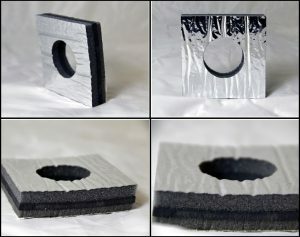 Cabin insulation supports additional noise reduction. Inside the engine compartment, insulation is attached to the firewall. Engine bay insulation for mobile equipment keeps heat and noise in the engine compartment from reaching the cab interior. The diesel engines that power mobile equipment run hot and loud, which raises concerns about occupant comfort, health, and safety. Mobile equipment manufacturers also need to protect cabin components such as instruments from sound-induced vibrations. 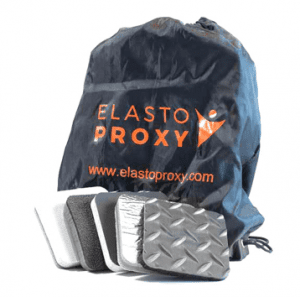 For a complete engine bay solution, Elasto Proxy makes thermal-acoustic insulation that can also dampen vibrations.